“Starlight“ is the LED lamp that dazzle for its power luminescent your rooms . Made of multilayer cardboard triple wave , itis lightweight with basic support . Available in different shades. 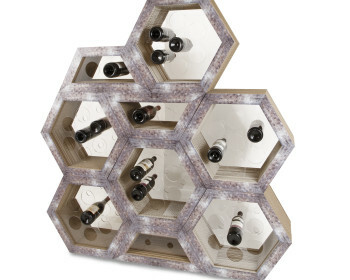 “Vinotinto“ is modular and stackable bottle, of small size, suitable to set up a small cellar. The design of this particular piece of furniture is inspired by the multilayer cardboard , taking up the story inside of the latter material. Made of cardboard plywood triple – wave, great for the kitchen furnishings. 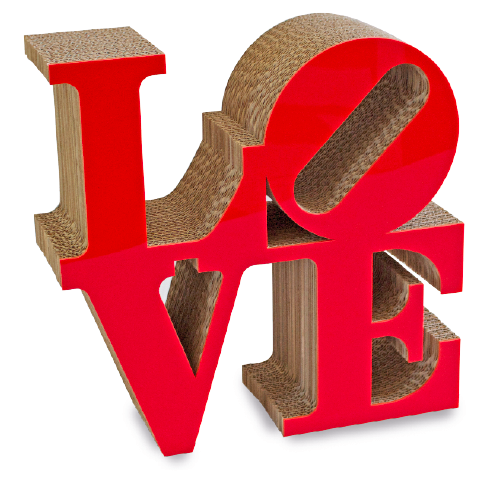 “Font“ is the piece of furniture minimalist inspired by famous works of Robert Indiana. 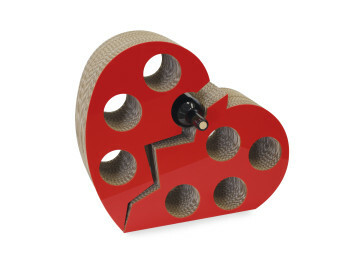 In addition to written Love, the object can be customized with different colors and letters. 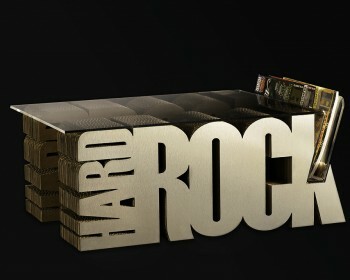 The top of the coffee table “Hard rock” is made of transparent plexiglass. 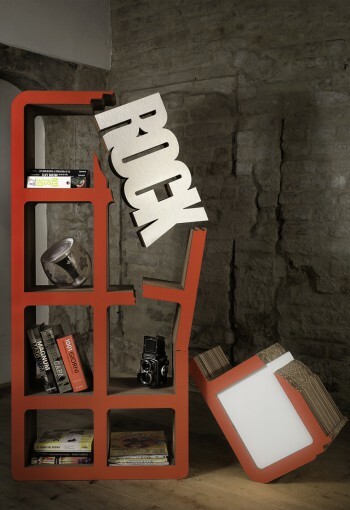 The bookcase “Rock fall” is the perfect furnishing accesory for a modern house.